Photo 1 shows the New England postcard pillow in the solid square with a flanged edging. Photo 2 shows the detailing of the pillow. 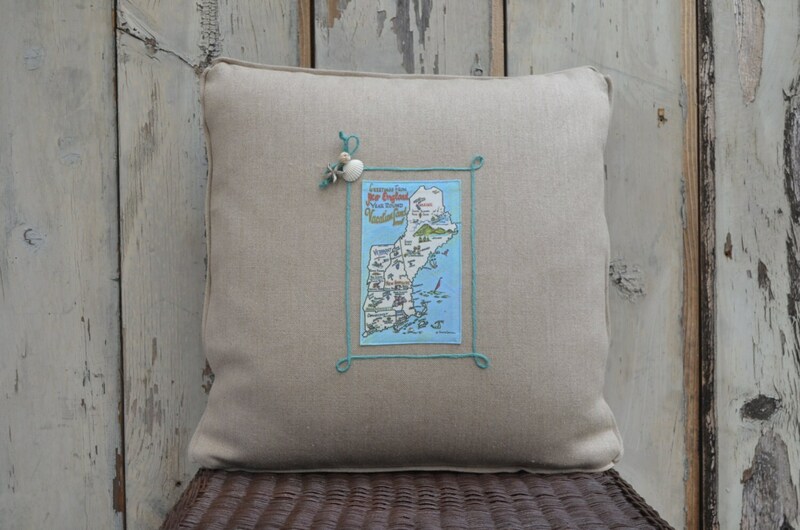 The main body of the pillow is made from Belgian linen and is embellished with a hand tied rope button made by a retired U.S. 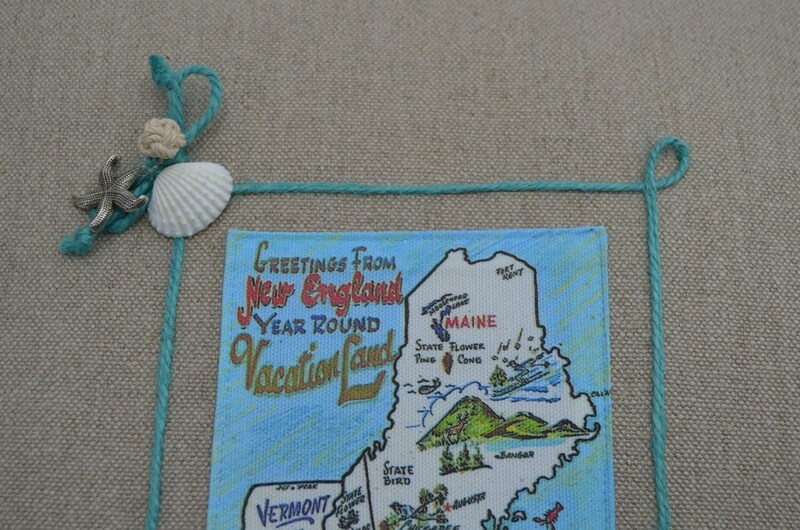 Merchant Marine sailor, jute twine, a genuine seashell and a silvertone charm. All pillows include a 95% feather 5% down pillow insert. The square pillow measures 19 inches by 19 inches. In stock and ready to ship. The price shown is the sale price!!! the pillow was originally $89.00.